MWO: Forums - Midgard Inc.
Edited by Alexandra Hekmatyar, 29 January 2019 - 10:45 AM. It has no meaning here, maybe if most people I recruited from an other game would be actually active it would have been an interesting know but nope. - small tweaks in the introduction part. Well since this recruitment page has been up we have recruited 9 peeps so far and quite active (well actually more but all those people didn't liked MWO). I'm also waiting for an administrator that takes care of the Midgard teamspeak server to make me an administrator so I can make an Mechwarrior sub group in the official Midgard Teamspeak thingy. We got our Teamspeak server up and running for the Mechwarriors. We got a new recruit who is trying his best to contribute and came with an enjin website for Midgard Incorporated. MidgardInc.Enjin.com is the website so feel free to visit it. Midgard Incorporated is also accepted in the FWLM website and we will get our own place on the website and the teamspeak in couple of days or weeks due to life of course. Our roster has been grown as well most of the players are located in Europe right now but we also got some playing in the US. We now got 18 members and are active and mostly grouping with each other if we do the same thing. Edited by Lady Alexandra Cousland, 12 September 2016 - 03:49 AM. I'm such a big goofus I forgot to add the entire meaning of the MIDGARD acronym. Fixed now though so all good. I am very interested in joining. What do I need to do? My goal is to sign up with a group who wants to win through teamwork but also wants to provide a respectful, positive game environment. If you wanna join best thing is to head to http://midgardinc.en...com/recruitment and sign up there. Anyone from Midgard Incorporated can pass you an invite in-game, sadly I can't do that since I'm waiting for a new motherboard which will be up and running on Sunday evening if everything goes without trouble. You will have a week trial in the unit and after that trial you will get promoted and your place in the unit is more steady. I do add that we don't have a commander that uses teamspeak yet in the unit, as for me I'm a command wheel commander if needs be and that can be very limited. It also should be noted that Midgard, Inc. was admitted to the Free Worlds League Military as a full member unit with all rights and privileges for its membership, via unanimous vote by the League's Unified Command Council last Saturday night. Members can also register at the House Marik website at http://housemarik.enjin.com/ and use its Team Speak comms (housemarik.enjinvoice.com) to participate in the greater community. Midgard, Inc. will be getting its own unit tag, recruitment page, and drop bays at FWLM as soon as the admins can get around to setting everything up (which is quite an involved process). I should probably make some tweaks to the introduction on this thread soon. Gladly we already have a recruitment page it just needs to be on the FWLM website probably after I passed a unit symbol along which will take a while on my part. Welcome to the Marik community MIDGARD. And I finally edited the introduction of this thread. I've heard some concerns from people who would like to join but have some sort of feeling they need to be active while they have a very busy life and so on. For those people I have tweaked my introduction to reassure them that they are still welcome to join this community. At least half of our community is already very busy but they pop online so here and there and if they got time for a few games we play those games together. Our unit forum had been down for several weeks due to payment issue's and last week I switched over to a free form. 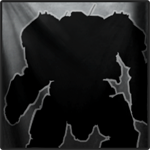 Though the forum is not particularly used, in several weeks the administrator and owner of the Midgard-inc.net All Points Bulletin forum (which is being used) will make a section for the Mechwarrior Midgard community so we can use that as well. I let everyone know in the unit and on this thread when that will happen. One thing for sure the quality of the forum will be way better then the enjin forum we currently use. Also bumps for we are still looking for people that are interested to join. Merry christmas to our fellow house marik unit! 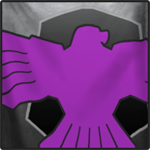 Keep making the purple bird proud! Made some tweaks here and there mainly about recruitment and adding people to the list you could contact about it. I also removed the part were I said we've been accepted to the FWLM, now it is true that Midgard Inc. has been accepted formally by the FWLM leadership though nothing has been done since then to be actually implemented in their teamspeak or FWLM website. Alright announcement there is a beginning for getting the unit implemented in the main Midgard forum with it's own section which is now in working order. So from now on we'll be using: https://midgard-inc.net/ for the unit as well. Only thing that needs to be done is a new banner for both MWO and APB communities but that comes later. We also have an application form setup in case that's how someone wants to apply for the unit thing is, it's mainly made for the game All Points Bulletin so if you do the application through that forum make sure you're talking about Mechwarrior online. Just letting everyone know that we at Midgard are still alive and kicking. 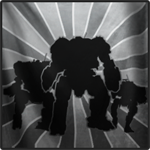 We are still looking for people to strengthen our little community, also we are looking for someone who is willing to 'work' towards being some kind of second in command of the unit, preferably US based since a big chunk of the MWO unit is in the US. It also seems like the people in the unit are willing to do more faction warfare so to meet the demand of more consistent FW we are probably gonna aim more towards that on weekends. 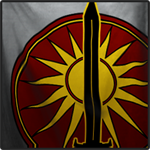 Lady Alexandra, I just applied to your faction within your website. Hope to hear from you all soon! I send ya a friend invite, when I send you a unit invite you were already in a unit.